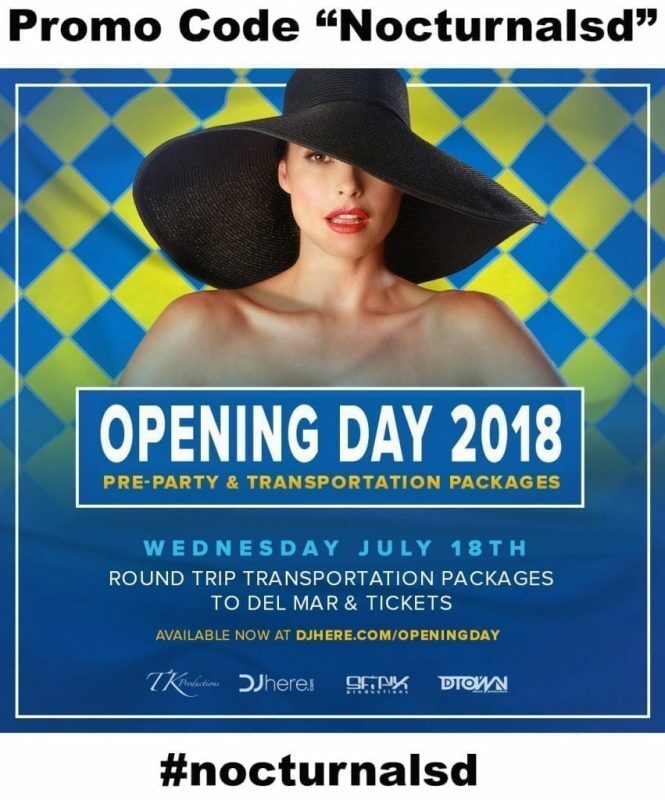 looking for transportation, shuttling, limos, party buses to and from the del mar race track for the opening day this july 18th 2018 ? Opening Day Del Mar Party Buses DISCOUNT pickup locations can be found on the map below. This Party bus will be limited in seating so buy your tickets and passes today. The party bus also includes tickets into the del mar races. The pickup will be downtown at the pool house located at the pendry hotel . There will be a Opening Day Del Mar After party and El Chingon. All buses will include bathrooms. Includes TICKET INTO THE RACE TRACK at “Stretch Run Admission”. Entrance into Pre and Post-Party at Pool House until 10pm. Wristband for discounted drink specials at Pool House before departure from 10:30-12pm. Must be 21 or older to get on the bus. Pre-Party starts at 10:30am at Pool House located at the Pendry Hotel Downtown w/ drink specials. Entrance into night time event at El Chingon until 2 AM. Buses leave at 12pm sharp & return at 5:30pm sharp. *Pick up and drop off from Pendry.